The Campus has a well equipped and modern Gymnasium in the Multipurpose Hall. Thus, students have options to choose from a range of sporting activities and exercises to ensure that they stay healthy enough to cope with stress posed by modern day life. 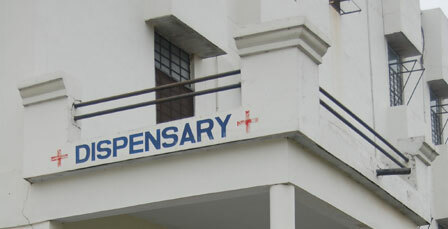 The Institute provides canteen facilities located within the campus. 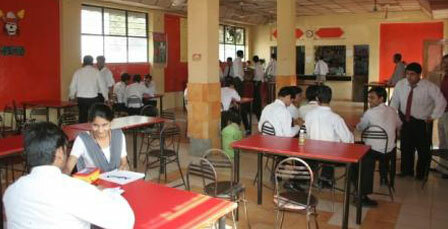 Besides the episodic events ,Cafeteria(Nescafe KIOSKS,Cold Drink,Ice Cream point,Open Air resturant etc. )is the place where students get a of relaxation and enjoy their free time.The ambience is comfortable and provides a place of mouth watering dishes offered. Students have the choice of a variety of items available at reasonable rates. There a student can have snacks as well as full meal.The kitchen is totally modern and with state of the art mechanized cooking range. Every effort is made to see that the food items remain untouched till the consumer picks it up for eating. The cafeteria becomes a piece of attraction for relaxation and for snacks. 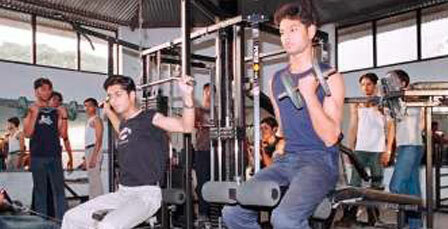 The College provides facilities to students to pursue a wide range of sports activities in the campus. 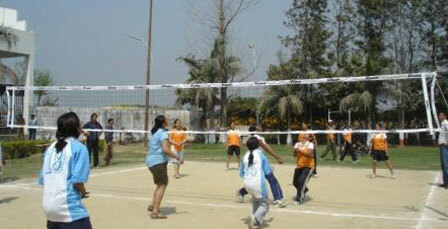 The outdoor facilities include athletics, volley ball, basket ball, kho-kho. Chess, carom are indoor games available. A squash court is also available for playing squash.A female Instructor is there to assist the girl students in their sports practices.All the required sports items of best brands are available here in sports store room.So along with academics students can also excel in sports activities. 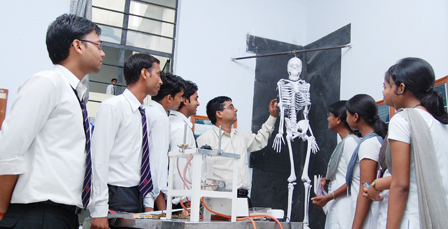 At SRMSCET you will be covered by a comprehensive medical facilities to meet all kinds of exigencies. A healthy body makes a healthy mind. To ensure your well being, apart from well equipped in campus dispensary SRMS Trust is running its own 900+beded, multispatiality, tertiary care hospital and trauma center just at the adjoining campus of SRMS institute of Medical Sciences Bareilly to take care of any emergency whatsoever. Students can avail any medical prescription of highly qualified doctors at nominal rates and can also get any pathological tests being done.Srms Hospital is one of the best hospital in bareilly with all medical departments and possible treatments. College is approximate 13 km away from Bareilly Railway Station. College transport system covers almost all parts in Bareilly based on the requirement of staff, students and faculty.At start of each academic year, a survey is made to draw up a comprehensive plan for the decision of routes and corresponding charges Accordingly the buses are arranged. 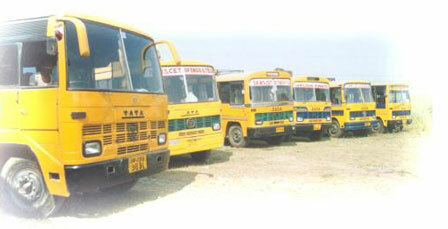 Besides morning and evening time there are buses in the afternoon and late evening to travel to and fro from city. A separate bus runs on Sundays for taking the hostelers on the cityï¿½s visit from both sides. The campus has an ATM machine of Oriental Bank Of Commerce which provides 24 hrs. ATM transaction facility. 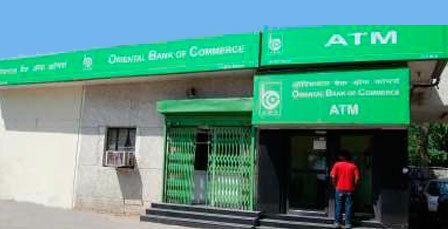 Oriental Bank Of Commerce(CBS Branch) is located in Ram Murti Puram, provides banking and locker facility. 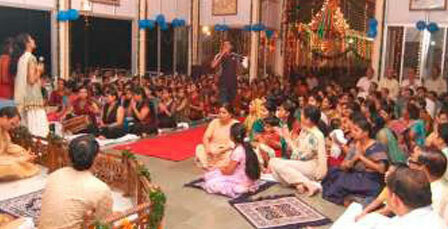 To provide spiritual environment to student,faculty and staff, all of our campus having separate Temples. Radha Mohan Temple of Lord Krishna and Radha and Narmadeshwar Temple of Lord Shiva are situated in Bareilly as well as Lucknow. Lord Hanuman Temple is also situated at Lucknow. 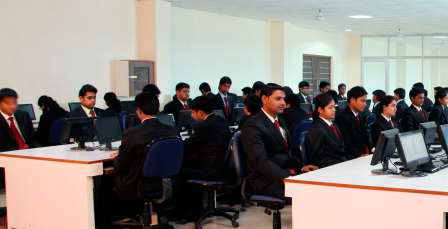 Computer Centre plays a critical role as a learning centre both for the students and faculty. This state‐of‐the‐art facility is equipped with latest IBM/HP server with over 250 network systems Core 2 Duo P4/PIII Intel Processor, 128 MB ‐ 2GB memory, 20‐40‐60 GB Hard Drive, 17″/15″ color monitor. upgraded with new technology regularly round the clock. 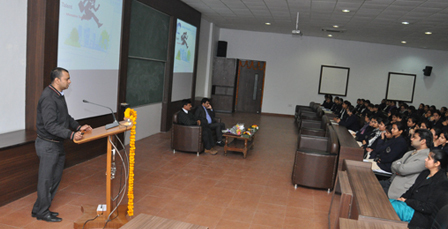 College has 6 air conditioned seminar halls equipped with various multimedia aids viz. LCD Projectors along with the capacity of 200 each.